ΔERE, pronounced 'there', is an aspiring video library of places on earth. Upload a video from wherever you are, indoors or outdoors! Document places and watch them change through the day/week/years! Search and discover places from all over the world! 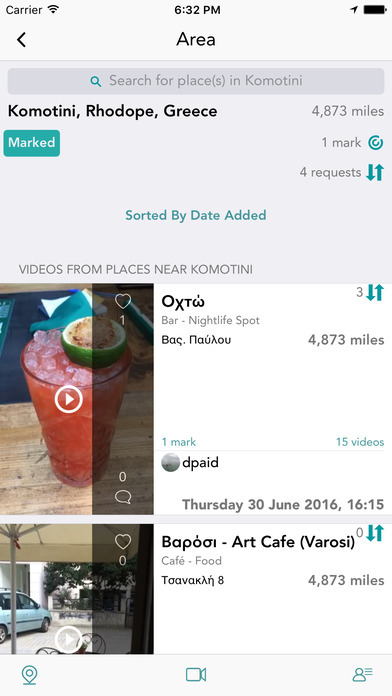 Search for an area/neighbourhood and watch videos from places near there. Filter the places in an area/neighbourhood by category(e.g. outdoors & recreation, nightlife spot etc.). Find by name a specific place in an area/neighbourhood. Request a video from a place if you ‘d like to know how it looks right now! Users near there can respond to your request by uploading a video! Mark you favourite places and areas and revisit them to watch the new videos from there. Use the map to help you with your search or to pinpoint a place! by Developpement de Site Web Inpulse Inc.
FluZz - Can you link them all? Omega Blocker: Ad free web browsing. Lightning-Fast Safari. Monster Trivia Quiz - Pokemon Edition. Guess them!